High Point, N.C. – The High Point Rockers announced today their preliminary promotional schedule for their inaugural season, with the home portion set to begin on Thursday, May 2nd, 2019. Exciting theme nights like “Star Wars”, “Beach Bash”, “Western Weekend”, “Pink in the Park”, and more are set to join weekly staples like “Taco Tuesdays”, “Thirsty Thursdays” and “Family Fundays” at BB&T Point, with even more fun set to be announced later this spring. On Opening Night, folks will start to get a taste of what to expect in downtown High Point as commemorative tickets honoring the historic first game will be given out to fans as they enter the stadium. Exciting festivities for this night are still being planned but rest assured gates will open early to allow patrons the chance to fully see all BB&T Point has to offer before the first pitch at 7:05pm against the defending Atlantic League champions, the Sugar Land Skeeters. It will also kick off three straight nights of Rocking Fireworks Shows after the final out. Friday, May 3rd will see the first of many themes to get fans involved with “80’s Night”. Come dressed as your favorite pop culture icon, or just as your favorite version of you, for this night full of great music, fun, and fireworks. The weekend continues in a galaxy far, far away with “Star Wars Night, presented by Photofy, benefitting The Grown Ups Benefit” on Saturday, May 4th. It’s yet another chance for fans to dress up as their favorite characters, and maybe even meet some as well! 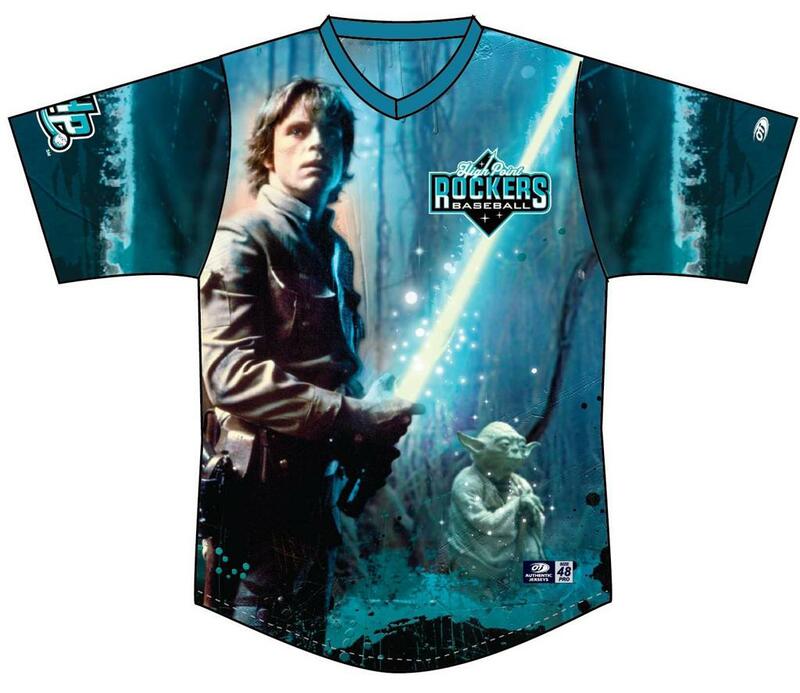 The Rockers will wear custom jerseys depicting heroes Luke Skywalker and Master Yoda, which will be auctioned off with proceeds being donated to The Grown Ups Benefit. As part of the night, folks can purchase tickets to The Grown Ups Benefit annual charity softball game on May 11th, to be held at the home of the Rockers. Closing out the weekend is the first “Family Funday” of the season. On May 5th, and all Sundays, bring the whole gang out early for pre-game autographs from your Rockers and stay late as all kids 13 and under can run the bases at BB&T Point! At the conclusion of their opening homestand, the Rockers will hit the road for eight days before returning home on Friday, May 17th for a three-game series with Southern Maryland. As part of that weekend, High Point will host “Police Appreciation Night, presented by Ilderton Dodge Chrysler Jeep Ram”. The night will feature custom jerseys that will again be auctioned off for charity, while also including ceremonies to honor members of local police forces. On Sunday, June 2nd, the Rockers are “Bringing Back Sunday” as they celebrate the 20th Anniversary of the band Taking Back Sunday. Lead singer, and High Point native, Adam Lazzara will be on hand to throw out the first pitch and meet with fans. As with every Sunday, children 13 and under will be able to run the bases after the game. In June, Father’s Day weekend highlights the promotional schedule with three exciting events. On Friday, June 14th, celebrate members of our Armed Forces with Military Appreciation Night. A doubleheader on Saturday, June 15th features Mustache Appreciation Night where we honor the great mustaches in history, including our very own Frank Viola! Finally, give Dad the gift of baseball with a special Family Funday on Sunday, June 16th, including a post-game catch on the field. Just over two weeks later, the Independence Day Celebration kicks off on Wednesday, July 3rd with a 3D fireworks show. There will be an even bigger production on July 4th, presented by High Point University, complete with the inaugural Rockers hot dog eating contest. 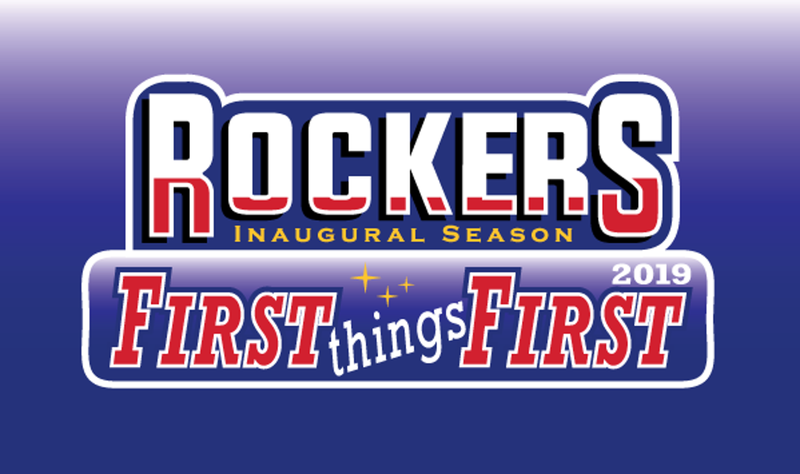 Following the Atlantic League All-Star Break, the Rockers will close out July with a trio of exciting themes, with one lasting the whole weekend. First, on Friday, July 19th, join the team as they celebrate “Midway to Market” and the rich furniture history that surrounds High Point. On July 25th, get in the holiday spirit with “Christmas in July”, complete with fun decorations, a festive mini-bat giveaway, courtesy of Allen Tate Realty, and a visit from the big guy himself: Santa Claus! After the milk and cookies have passed, grab your best western gear for “Western Weekend” as High Point hosts the Sugar Land Skeeters from Sugar Land, Texas, July 26th-28th. It’s sure to be a boot-stomping good time with fun activities, music, and giveaways galore. August’s promotional schedule features three weekends with events sure to end your summer right. On Friday, August 9th, make your allegiance to House Rockers as High Point battles York on “Game of Thrones Night”. Sit on the throne of House Rockers and defend yourself from the White Walkers during this exciting night. That night is followed by “First Responders Night, presented by Ilderton Dodge Chrysler Jeep Ram” on Saturday, August 10th. The Rockers will wear custom jerseys that fans can bid on with proceeds going to charity and enjoy another post-game fireworks show. Kids will get excited for class with our “Back to School Day” on Sunday, August 18th. The day will feature an education-themed giveaway and tips for starting the school year off right. The month finishes up with “Pink in the Park” on Saturday, August 24th where the players will wear pink jerseys that will be auctioned off in a venue-wide fundraiser for breast cancer research. The night will also feature the “Digging for Diamonds contest, presented by Simon Jewelers” where one lucky fan will win a $6,500 diamond, courtesy of Simon Jewelers, as well as pink fireworks after the game. Plus, no summer is complete without one final beach party! On Sunday, August 25th, grab your swim trunks and come on down to Rockers Beach and BB&T Point for an end of summer blowout. Complete with tropical decorations and concessions items, the day also features a post-game band sure to transport you to a place by the sea. Enter Here For a Chance to Win a $6,000 Diamond from Simon Jewelers! Join Tyler's Amazing Balancing Act on "Carnival Night", September 12th! In the final month of the season, the Rockers will give a big ‘Thank You’ to you, our fans, for all of your support in our inaugural year. Starting on Thursday, September 12th there will be exciting promotions and events for all. That Thursday night, the final “Thirsty Thursday” of the season, will also be “Carnival Night” with a performance from Tyler’s Amazing Balancing Act! Then, from Friday, September 13th to Monday, September 16th, enjoy “Fan Appreciation Weekend” with special themes, promotions, giveaways, and activities to thank those who live in the city of High Point. Each week when the Rockers play at home, fans will get to enjoy exciting daily promotions. Every Monday home game will be a “Merch Monday”, with a special discount in the team store only during the game, as well as a “Hospitality Night” with special group rates for local hospitality businesses to bring their staff out and have some fun. 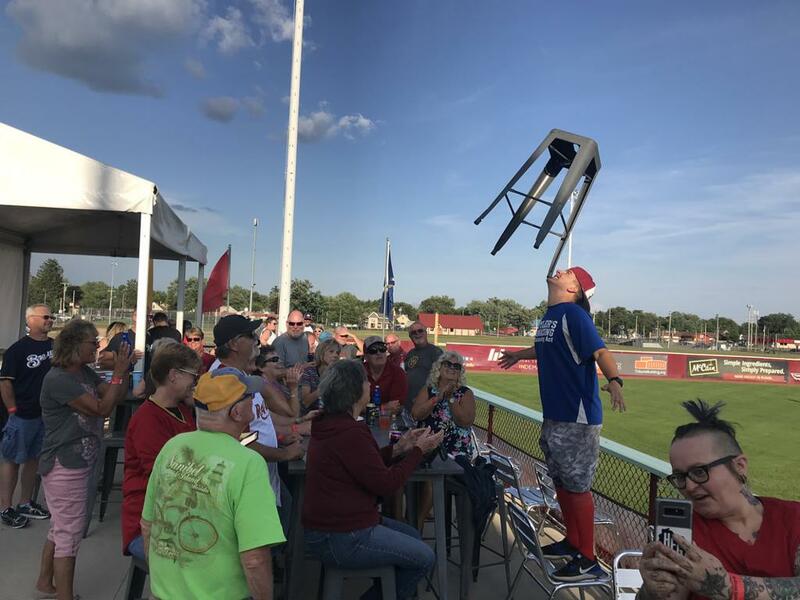 All Tuesday home games feature a “Triad Tuesday” where one Triad area town will be honored pre-game with parades on the field, first pitch opportunities, and more. The night will also be a great place for your taste buds with “Taco Tuesday” specials each week! Thursdays, excluding May 2nd, will be a “Thirsty Thursday” with select draft beers being available for just $1, along with other, soon to be announced, promotions. Friday nights at BB&T Point feature post-game bands on the concourse to get your weekend started off right, while the fun continues Saturday with post-game Rocking Fireworks Shows. Rounding out the week, Sundays are “Family Fundays” with pre-game autographs and a post-game Kids Run the Bases for all children 13 and under. More exciting promotions will be announced as the season draws closer, including giveaways, band announcements, entertainment and more! With the recent announcement of group party options and 35-Game Plans, fans can now begin to cement their summertime plans to be in High Point. More information on all current ticket options, including season tickets, can be found by sliding to HighPointRockers.com, calling (336) 888-1000, or visiting the team offices located at 214 Lindsay Street in downtown High Point. Single game tickets for 2019, as well as 18-Game plans will go on sale on Tuesday, March 26th at 10:00a.m.